*AdvaCare Calcitonine Saumon Nasal Sprays are GMP certified. **AdvaCare Saline (Sodium Chloride) Nasal Sprays are manufactured in our facilities located in China, India and USA. 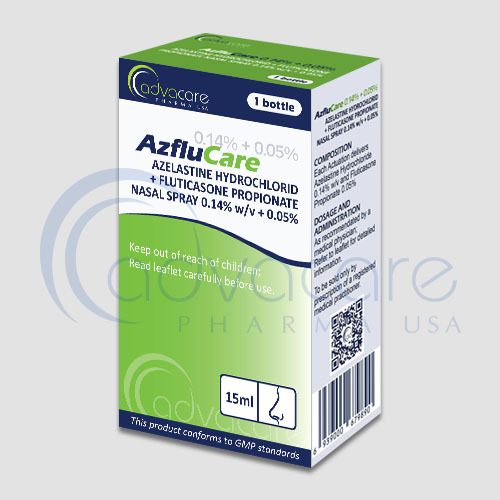 AdvaCare is a GMP manufacturer of calcitonin saumonnasal sprays. This medicine is used to treat fragile osteoporosis in postmenopausal women for at least 5 years. Calcitonin works by slowing bone loss to help maintain strong bones and reduce the risk of fractures. Calcitonin is a human hormone that is also found in salmon. Calcitonin salmon nasal spray belongs to the group of medicines called regulators of bone metabolism. It works by preventing bone degradation and increasing bone density (thickness). Salmon calcitonin helps to treat osteoporosis but does not cure it. As with any pharmaceutical drug, the use of calcitonin salmon nasal spray can cause side effects. Always consult a doctor for medical advice before use. Common side effects may include runny nose, nosebleeds and sinus pain, nose symptoms such as scabs, dryness, redness or swelling, back pain, joint pain, upset stomach, and hot flashes. For a complete list of all possible effects, consult your doctor. If any of the symptoms persist or worsen, or if you notice any other symptoms, call your doctor right away. Always consult a medical doctor or patient care specialist before using Calcitonine Saumon nasal spray. 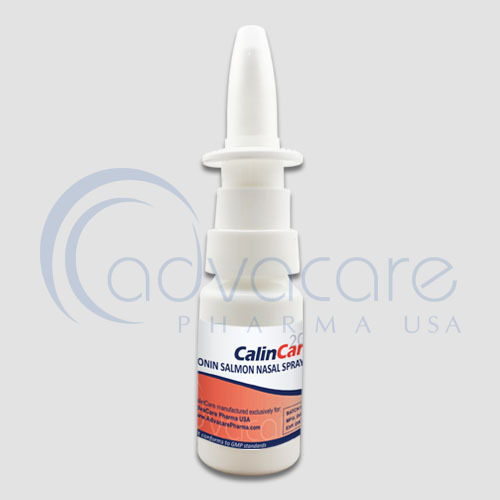 Calcitonin Salmon Nasal Spray is used to treat osteoporosis in postmenopausal women who are at least five years old and can not or do not wish to take products containing estrogen. Osteoporosis is a condition that weakens and breaks bones more easily. Calcitonin is a naturally occurring hormone in the human body. Salmon calcitonin is not derived from salmon, but is a synthetic version of calcitonin produced by salmon. Calcitonin salmon nasal spray works by reducing the rate of bone degradation caused by cells in bones, osteoclasts and can encourage cells called osteoblasts to build bones. This increases the density of the bone in the lower spine. You have a medical history of low calcium levels in your blood. 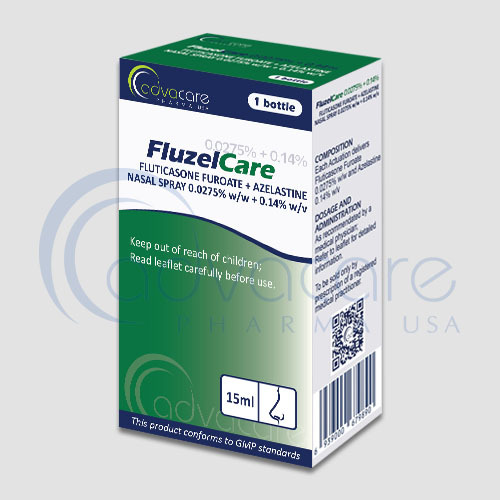 This medicine is used mainly in menopausal women. Therefore, it is unlikely to be used during pregnancy or breastfeeding. Consult your doctor if you have questions about this product. This medicine may cause changes in vision. Do not drive or use machines while taking this medicine until you know that it does not affect your ability to perform these tasks safely. Consult your doctor or pharmacist for dosage instructions. The recommended dose for treating osteoporosis is 1 to 2 sprays in each nostril twice daily. Consultez votre médecin à propos des médicaments que vous prenez ou des affections médicales que vous avez avant votre traitement par le spray nasal calcitonine saumon. Il peut avoir une interaction avec le lithium et d’autres corticostéroïdes. Symptoms of overdose include drowsiness, difficulty breathing, and drowsiness. These symptoms should be reported to the health care professional.